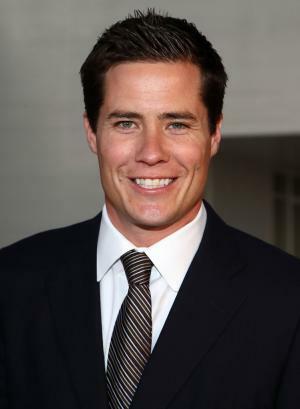 Andrew Boulton Firestone was born on the 10th July 1975, in Santa Barbara, California, USA, and is a businessman as well as television reality show personality. Besides being the heir of Firestone Tire and Rubber Company, the owner of Firestone Winery and the Principal of StonePark Capital, Andrew is best known publicly through his involvement in ABC TV’s reality show “The Bachelor”. Have you ever wondered how much wealth this TV persona has accumulated so far? How rich Andrew Firestone is? According to sources, it is estimated that the amount of Andrew Firestone’s net worth, as of early 2017, exceeds the sum of $50 million, primarily acquired through his business company StonePark Capital as well as from his involvement in his family’s Firestone corporation. Andrew is the third generation of inheritors of the Firestone Tire and Rubber Company – he is a great-grandson of Harvey Samuel Firestone who founded it in 1900, a grandson of politician and philanthropist Leonard Firestone, and a son of Brooks Firestone who is a businessman and is also involved in politics. Andrew attended Robert Louis Stevenson School in Pebble Beach, California, before he enrolled at the University of San Diego from which he graduated in 1998, obtaining his degree in business administration. Besides involvement in Firestone corporation, Andrew is a prosperous businessman on his own – he began his career in the hotel business in 1994 when he joined Shilo Inns Suites Hotels in Portland, Oregon. Later he crafted his business skills in Pacific Inns before transferring to institutional finance at BancBoston Robertson Stephens. He continued his career as a foreign exchange specialist at HIFX Inc, but later returned to the hotel business and joined Ty Warner Hotels and Resorts. Between 2010 and 2014, Andrew Firestone served as Senior Vice-President of West Coast Management before entering the hospitality business in his own right – he is a co-founder and the principal of StonePark Capital, a successful hospitality and business management consulting firm. Based in Santa Barbara, California, Andrew’s company develops and provides a range of selected serviced hotels, and at the same time creates profitable investing opportunities. It is certain that all these engagements provided a huge boost to Andrew Firestone’s net worth. However, wider popularity Andrew Firestone gained in 2003 when he appeared in the third season of ABC’s reality TV show “The Bachelor”, which follows a bachelor over the course of several weeks while he meets and dates 25 potential future brides. At the end of the show, Jen Schefft was the lucky one, but after a couple of months of living together, Andrew and Jen split. Ever since, Andrew has added several other on-camera appearances including “Celebrity Poker Showdown” (2005), “Iron Chef America: The Series” (2006) as well as “The Bachelor: Then and Now” (2010) and “The Bachelor at 20: A Celebration of Love” (2016). Doubtlessly, all these ventures have helped Andrew Firestone to increase not only his fame but wealth as well. When it comes to his personal life, well… Andrew is not a bachelor anymore. Since 2008, he is married to actress and model Ivana Bozilovic with whom he has two sons and a daughter. There aren’t any other relevant data or rumors about his private matters. 1 Owner of Firestone Winery. 2 Son of Brooks Firestone. Great-grandson of Harvey Firestone and Idabelle Firestone. 3 Father of his 2nd child with wife Ivana Bozilovic, a daughter Anja Jasmine was born April 15, 2011. 4 Father of his 1st child with wife Ivana Bozilovic, a son Adam Brooks was born March 21, 2009. He weighed 8 lbs.